Kazakhstan is actively preparing to take over the OSCE's chairmanship next year. The challenges are daunting to any chairing country and the organization as such. According to multiple, though unofficial reports from the organization's Vienna headquarters, Kazakhstan has asked Finland to host an OSCE summit in 2010 in Helsinki, focusing on Russian President Dmitry Medvedev's initiative to create a "new European security architecture." The proposed event will be the OSCE's first summit at the level of heads of state since Istanbul in 1999. Moscow would like the OSCE to refocus onto NATO's area of responsibility and support a recasting of security arrangements there, diluting the Alliance's role. Meanwhile, however, the OSCE itself is being steadily marginalized, or even evicted from areas where Russia holds sway. Symbolizing this process, the OSCE's Mission in Georgia is taking down the flag on its Tbilisi headquarters today (Interfax, June 17). While Russia seeks to redirect the OSCE's attention westward, the security deficit is deepening in the Black Sea-South Caucasus area, compounded by a potentially unstable environment in Kazakhstan's own Central Asian region. The 1999 CFE Treaty and Istanbul summit agreements -the last decisions on all-European security that the OSCE was able to adopt- are being breached massively by Russian and Armenian forces in the four theaters of unresolved conflicts. 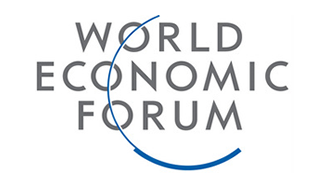 Since December 2007, Russia has unilaterally suspended its overall compliance with the CFE Treaty as such. Formally at least, the OSCE is the custodian organization of the CFE treaty and the process of its implementation through the Joint Consultative Group (JCG), including Kazakhstan, at the organization's Vienna headquarters. Russia would now like to launch its security agenda affecting core Europe, but at the same time to throw aside the unfilfilled OSCE Istanbul 1999 agenda, which affects Europe's eastern neighborhood. Also in Europe's East, Moscow has vetoed the continuation of OSCE and other international missions and field presences, forcing their closure (Georgia Border Monitoring Mission in 2005, OSCE Mission in Georgia with field presences in South Ossetia and Abkhazia in 2009, UNOMIG in Abkhazia in 2009) or reducing them to irrelevance (Moldova/Transnistria from 2006 to date); as well as forcing the OSCE's election-observation institution, ODIHR (Office of Democratic Institutions and Human Rights) out of Russia since 2007. 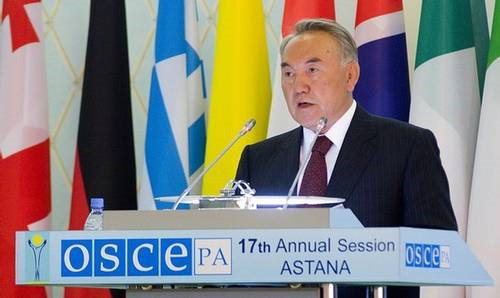 Such are the challenges facing Kazakhstan's upcoming chairmanship at the OSCE. But there are also some potential opportunities looming. Kazakhstan holds certain comparative advantages, relative to the OSCE's previous chairmanships (and even by comparison with much of the OSCE's own personnel). Almost all the chairmanships since 2002 represented countries variously affected by whole sets of disadvantages, including: small and often inexperienced ministries of foreign affairs; little or no historical experience with Russia and the post-Soviet area; no perceived national interests or, at best, low-priority interests there; and an often-evident deficit of expertise on the post-Soviet area, which is where the OSCE confronts most of the challenges to its norms and values. Romania's chairmanship in 2001 was the last successful one at the OSCE. All the subsequent chairmanships failed, whether through unrealistically high ambitions (Netherlands 2003), passivity for fear of failure (2002, 2004-2007), or powerlessness in the face of Russia's use of military force (as the Finnish chairmanship found in 2008). Kazakhstan, however, holds the comparative advantages of expertise on Russia, Central Asia, and the Caspian basin, as well as top-priority national interests in those regions. Thus, Kazakhstan's chairmanship is well equipped to focus the OSCE's attention properly on those areas and the unfulfilled security agendas there, both hard and soft. The soft-security challenges include border security, drug trafficking originating in Afghanistan, water management, and energy security through the opening of direct export routes to Europe for Caspian oil and gas (Center for Strategic and International Studies and Institute for New Democracies: CSIS-IND Task Force, "Supporting Kazakhstan's OSCE Chairmanship Agenda," Policy Briefs I and II, Washington, June 2009). The OSCE's defining vocation is to deal with zones of insecurity ("grey zones") eastward of NATO and of the European Union. Unlike many of the predecessor chairmanships, therefore, Kazakhstan's need not fail on that account. For a premiere in the OSCE chair, Kazakhstan's political system is characterized as authoritarian and super-presidential. The incumbent president's tenure is potentially of indefinite duration and the most recent elections have produced a one-party parliament. Ultimately, however, such characteristics were not regarded as major impediments when Kazakhstan was designated to chair the OSCE by unanimous consent, including that of the United States. This decision amounts to a tacit recognition that Kazakhstan's political system is actually successful in the context of time and place and rests on popular support. It provides a stable basis for institutional capacity building, evolutionary transition toward democracy, and successful national management of the country's mineral wealth. Such a frame of reference is equally applicable to Kazakhstan's Caspian neighbor, Azerbaijan. Kazakhstan campaigned for the OSCE's chairmanship with strong support from Russia, which threatened in its accustomed way to hold up the organization's budget process. Moscow was hoping to use a Kazakh chairmanship manipulatively for promoting Russian policy objectives in the organization. Ultimately, the United States turned the tables by endorsing Kazakhstan's candidacy in an unofficial political bargain at the Madrid ministerial meeting. As part of this, Kazakhstan made commitments on continuing democratic progress and it dissociated itself from Russian proposals to "reform" the OSCE, including the OSCE/ODIHR's election-monitoring mechanism. The selection of Kazakhstan to chair a major European organization is an absolute premiere in major ways. It is the first post-Soviet country, the first predominantly Muslim and non-European country (although a corner of Kazakhstan's vast territory belongs to Europe geographically) to be entrusted with such a responsibility. For these reasons, Kazakhstan more than any previous chairing country regards its chairmanship at the OSCE as a national prestige project for Kazakhstan. This in itself can become the prerequisite for a more successful chairmanship than the preceding ones.